Step-by-step pictures take you from first-day exercises to playing along with a backing track! 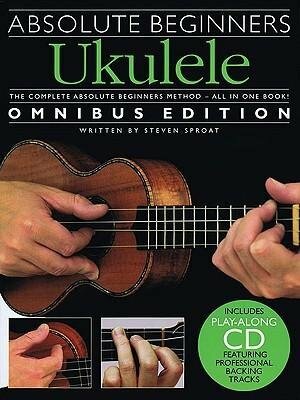 Absolute Beginners has been designed to tell you everything you need to know from the very first time you play your ukulele. In one great book you get: a look-and-learn course that uses clear pictures instead of long explanations; practical advice and tips covering everything you need to know to get you playing, fast! ; CD audio tracks to show you how things should sound, plus full-length accompaniment tracks to play along with! ; and more. It's simply everything you need! An owner's manual approach to your ukulele that makes learning easier than ever before!